TEHRAN - In light of the Iranian presidential election coming in mid-2009 and the United States distaste for President Mahmud Ahmadinejad, US president-elect Barack Obama is being advised to avoid any communication with Tehran until after Iranians vote next June. But Iranian political analysts who are familiar with the thinking of both Ahmadinejad and Supreme Leader Ayatollah Ali Khamenei believe it would be a serious mistake for Obama to take no action until after the election. Amir Mohebbian, political editor of the conservative Resalat newspaper, and political analyst Saeed Laylaz, who has been a critic of government economic policy, both said in interviews that Obama should communicate directly with Khamenei, who they say will make the ultimate decisions regarding relations with the United States. "My advice to Obama's team is to start negotiations immediately," said Laylaz. Failing to do so, he said, would be to repeat "the same mistake made by George W Bush". Laylaz, who believes Iran needs ties with the US to achieve economic stability, said Obama would be well advised to follow the example of then-Russian president Vladimir Putin, who sent the secretary of his national security council, Igor Ivanov, to Tehran with a personal letter to the Supreme Leader in January 2007. Khamenei subsequently sent his own personal envoy, former foreign minister Ali Akbar Velyati, to Moscow to meet with Putin. Laylaz said there was "no doubt" that the Supreme Leader is fully supportive of Ahmadinejad's effort to draw the Obama administration into negotiations and that the president had a "green light" to write a letter of congratulations to Obama after his election. Mohebbian, who has had close ties to Ahmadinejad in the past but has become a critic of the president more recently, agreed that US strategy should be focused on Supreme Leader Khamenei. He said Ahmadinejad would be attacked, at least by conservatives, if he sought to negotiate with the United States. If "the leader" indicated that he wants such negotiations, however, nobody will attack the decision, according to Mohebbian. The conservative strategist urged that Obama write a letter to Ahmadinejad as a first step to contacting "the leader". "Obama can say to Ahmadinejad, thank you for your congratulations, and I will send my ideas later," said Mohebbian. But he suggested that Obama send his proposal for talks to Khamenei instead of Ahmadinejad. "He should say that the US wants to make a bridge from the past," Mohebbian said. "We should try to make this bridge together." 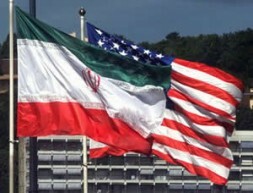 Mohebbian called such a letter "a very big step" toward negotiations that would open up prospects for a series of gestures by Iran, such as direct relations between the Iranian Majlis (parliament) and the US Congress. Such a US proposal directly to Khamenei would not bring a negative reaction from conservatives, Mohebbian predicted. He recalled that he had written an article calling for that approach to starting US-Iran negotiations in the conservative Resalat, and that "nobody said this is a bad idea". Advisers to Ahmadinejad, political figures and analysts all warned in interviews, however, that any bid by the Obama administration for negotiations with Iran will fail unless US officials become more sensitive to the impact of the political symbolism imbedded in its language. The main reason, they agree, is Iranian perceptions that the United States continues to regard Iran as an inferior state in a US-dominated international hierarchy of power. After decades of US policy based on the assumption that Iran can be coerced to agree to US demands, what Iranians officials are now demanding as a condition for negotiations is some sign of US respect for the Islamic Republic and an end to overtly hostile policies toward Iran. One adviser to Ahmadinejad, who agreed to be interviewed if he were not identified, emphasized the necessity for Washington to create "a much better atmosphere" for talks, saying Iranians are "not ready" to negotiate without such a change. "You can't just go into the room and say, let's negotiate," said the adviser, adding, "Symbols are very important." Dr Ali Reza Zaker, president of the Center for Strategic Studies, the think-tank which provides analysis on international affairs to Ahmadinejad, said the issue of respect for Iran and the acceptance of its equal status was "the most important issue" in regard to establishing the conditions for negotiations. Zaker, a student of political philosophy specializing in the Islamic world's relations with the West, complained that the United States has never had the slightest respect for Iran - "the kind of respect and recognition that should be accorded a viable, legitimate nation". To send "an important signal" that its attitude toward Iran has changed, Zaker said, the Obama administration should include the phrase "mutual respect" in its initial communication to Iran about negotiations. A second requirement for the creation of an atmosphere in which negotiations could take place, according to Zaker, is to recognize explicitly that Iran has legitimate interests, too. "Communications should go beyond the nuclear issue and say 'we understand your concerns'," said Zaker. The importance of a signal by the Obama administration of "respect" for Iran was also affirmed by Mohebbian, the conservative editor and political strategist. He urged Obama's team to "change the US political literature and use respectful language". Such language, he said, "can give a very, very good signal to Iranians". A second step for Washington to take is to "say to Iranian people that we don't confirm the policies of previous administrations", said Mohebbian. Mohammad Atrianfar, a reformist politician and newspaper editor who has been a senior political adviser to former president Akbar Hashemi Rafsanjani, also suggested in an interview that Obama will need to "correct mistakes of his predecessor" in order to signal a change in policy toward Iran. Atrianfar suggested that two such necessary corrections are a renunciation of Bush's inclusion of Iran as part of an "Axis of Evil" and his policy of regime change. "The Iranian people will never allow the American president to brand Iran as part of the Axis of Evil," said Atrianfar. "Even critics of the Iranian government with many concerns about the ruling system won't allow talk of regime change." Mohammad Ali Abtahi, who was chief of staff to reformist president Mohammad Khatami and then vice president in Khatami's government, refused to offer suggestions as to how Obama should approach the Iranian government on possible US-Iran talks. "I'm not his adviser," said Abtahi. But Abtahi suggested there is "not sufficient confidence on both sides" for US-Iran negotiations, and that "confidence-building measures" were needed. Gareth Porter, an investigative journalist and historian specializing in US national security policy, has just completed a 12-day visit to Tehran to find out how Iranian officials, analysts and political figures view possible negotiations between the Obama administration and Iran. Gareth Porter is a historian and national-security policy analyst. His latest book, Perils of Dominance: Imbalance of Power and the Road to War in Vietnam, was published in June 2005.